Kassiopi is a charming town situated at a small peninsula on the north-east corner of the island of Corfu, 36 km north of Corfu Town and Corfu airport. Kassiopi is the biggest village in the northeastern Corfu and the homonymous municipality of the area. 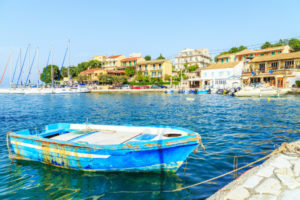 Until recently Kassiopi was known as a traditional fishing village with a picturesque harbour. Kassiopi is still a working fishing port, so you can sit and watch the boats coming in with the daily catch. 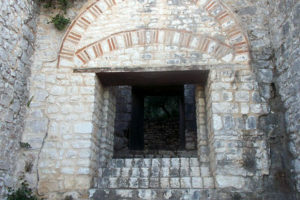 Kassiopi took its name from an ancient greek myth. Kassiopi was the wife of Kifissa and mother of Andromeda. Because Kassiopi boasted that he was more beautiful than Hera and the Nereids, he caused the rage of Hera and the Nereids, who asked the god of the sea, Poseidon, to punish her. Then Poseidon sent a cage, a terrible sea monster, that destroyed the coast of the country of Kassiopi. In order to redeem Poseidon, the royal couple was forced to give Andromeda the monster to eat it. Then Perseus appeared and escaped. After her death, Kassiopi was transformed into the constellation, like the rest of the heroes of myth. Everywhere in ancient Greece the basic figure in the constellation corresponded to a woman sitting on a throne. A holiday in Kassiopi has the magnificent backdrop of Mount Pantokrator and hills covered with olive groves, vines and citrus plantations. This resort is a colorful place reached by picturesque coast roads. It also provides views out to sea to the Albanian coast and shares the same northern coastline as Sidari, Roda and Acharavi. It is an attractive resort with traditional narrow streets and overlooked by the ruins of an ancient castle. The headland is surrounded by shingle beaches and little coves and the clear, turquoise waters are very safe for swimming. Agios Stephanos: The traditional fishing village of San Stephanos (Agios Stefanos) is a quaint resort with a scattering of villas on the hills, set within the arms of a peaceful bay. Kouloura: This small harbour with fishing boats is set against a backdrop of cypress and pine trees and there is only one taverna. There is an old chapel of Ag. Nicolas. The nearest beach is just a little further along at Houhoulio.